If you’re a die-hard audiophile who wants the ease of wireless with the immersion of quality phones, these Cowin E7 Bluetooth cans are worth a look. They cushion over your ears with active noise-cancelling tech and high fidelity, large-aperture drivers, creating out-of-this-world sound in an on-the-go package. Plus, right now they’re on extra 15% discount when you use the Black Friday code EBFSD15, in addition to the base 8% off the $69.99 MSRP at the Daily Caller shop—that’s just $54 out the door. With a 30 hour listening time, impact-resistant construction, and clear output across all frequencies, these Cowins will become your go-to on mid-day walks and out-of-town trips alike. Love podcasts, but don’t want to have to rewind every couple of minutes to hear that important twist in the story? The Cowins will deliver. The truth is, any application outside of exercise, and these cans are about the best the market has to offer. 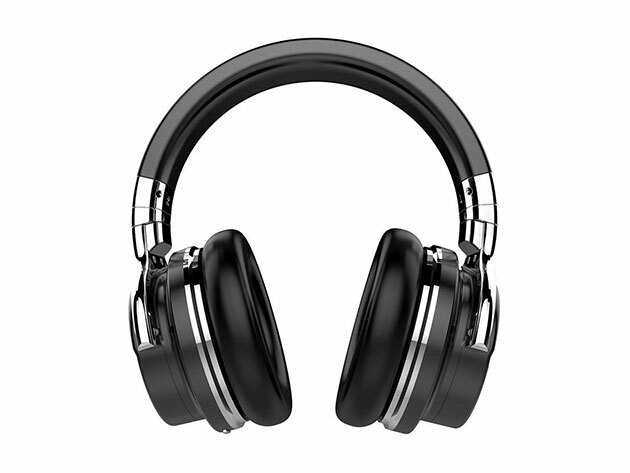 Check out the Cowin E7 Active Noise-Cancelling Bluetooth Headphones right now at the Daily Caller shop. You can currently snag them for only $54, down from $69.99, when you use the Black Friday code, EBFSD15 on checkout.